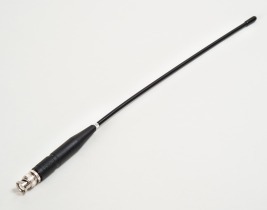 The AN410 is a ½ Wave Whip Antenna. It is a high gain linearly polarised antenna ideal for applications where long range reads are required. Typical read ranges on High Gain are 100-150m.